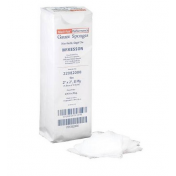 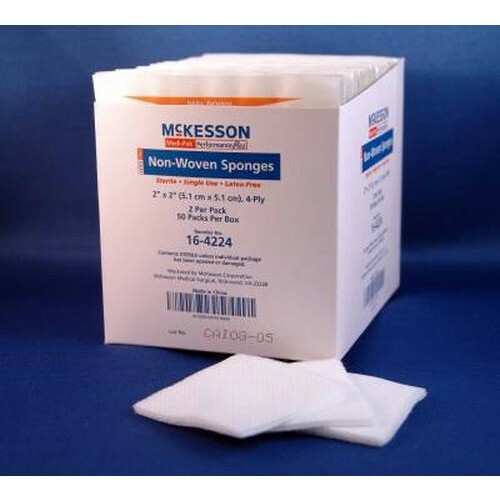 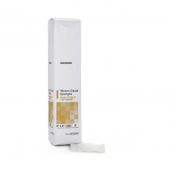 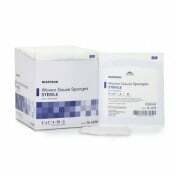 McKesson 16-4224 Medi-Pak 2 x 2 Inch Non-Woven Sponges are high quality sponges that extremely strong, made from polyester and rayon. 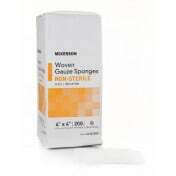 This is an excellent sponge choice when looking for an alternative to cotton gauze. 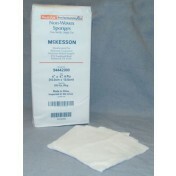 This poly blend is non-woven and offers excellent wicking properties, even greater than cotton. 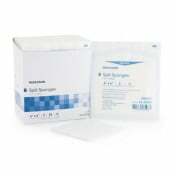 This lends well to wound packing due to its absorption and strong construction that minimizes linting. 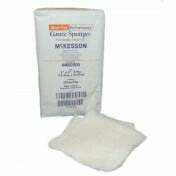 The sponge is also ideal as a wound dressing or cleaning and prepping the wound. 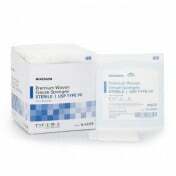 It's packaged sterile and is latex-free to not irritate the skin. 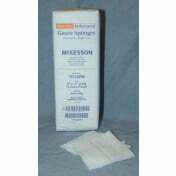 McKesson is the manufacturer of Medi-Pak Performance Plus. 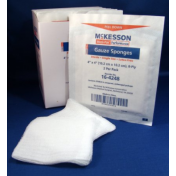 The gauze sponges are packaged sterile for fast application without introducing bacteria to the wound. 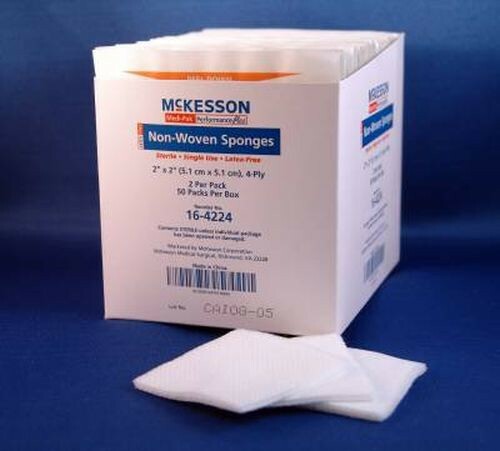 The easy-peel pack of two sponges also adds convenience and prevents waste. 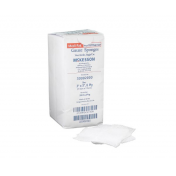 Vitality Medical offers a pack of 2, a box of 50 packs or a case of 30 boxes. 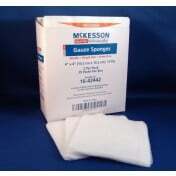 When using the sponge as a wound dressing, you may also want to buy latex-free Paper Surgical Tape to secure the gauze or splint.